The French and English languages share the same alphabet. However, many other things differ between the two languages, and more often than not, French teaching methods teach French as if the rules were absolutely logical and obvious, not realizing how surprising and even disturbing French can be to an English speaker. French grammar and French pronunciation can be particularly complicated for English speakers. So in this article, I’ll explain what to watch out for, and the best approach to learn French for English speakers. I’ve taught many English speaking adults in my life: some extremely intelligent, with really advanced degrees (rocket scientists and brain surgeons… literally!) who couldn’t find a direct object in a sentence, and were baffled by French grammar. How come? Although it does indeed help, you don’t really have to understand grammar to master English. Therefore unless you studied English literature or unless you were in a school where this was really focused on, many native English speakers don’t really know how to do grammar analysis. The problem is that most French methods don’t take that into account. So many complete beginner French methods start with the French adjectives agreement and fly over the fact that there is no neutral in French, that even inanimate objects have a gender or state that: “in French adjectives agree in gender and number with the noun they modify”. A sentence which makes no sense when you don’t know (or forgot) what gender and number mean, or can’t always differentiate an adjective from a noun. I know that some of you reading this will be shocked by this generic statement but, as far as what I can tell from my 23+ years of teaching English speaking adults, this is more often than not the norm. This is why it’s important you learn French with a method written for English speakers. A method that includes explanations and reviews of what the grammar terms mean, stresses the differences (and commonalities) between the two languages and provides many examples. Because of the way the French language works, French kids have been taught grammar extensively from a very young age, and this during years and years of studies. French kids spend years doing grammatical sentence analysis with different color pens, highlighting subjects, verbs, pronouns, adverbs, COD, COI, etc… It’s not that French kids are particularly interested in grammar, or particularly gifted for it. It’s just that we had no choice! Furthermore, all our teachers would join together in this grammar quest, and deduct points on your tests/assignments if you made grammar mistakes, such as missing an agreement, even in classes such as Chemistry or Geography. You cannot write in French properly if you don’t know grammar. You need to locate the direct object so you can apply the correct agreement in passé-composé with avoir, for example. Which means you need to know what a direct object is. That’s why the French know grammar. If we didn’t absolutely need to, and if our teachers didn’t give us such a hard time, we wouldn’t! So don’t feel bad if understanding French grammar doesn’t come naturally to you. It takes practice. The important thing is to find a French method that understands and respects this and explains things clearly. Yes, there are indeed many tenses and moods in French and a lot of French verb conjugations to memorize. However, should learning the spelling of all these verb forms be your priority? 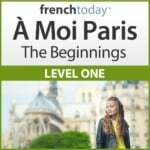 Is it essential to achieve your French goal? If you are learning French to pass exams or get a certification, the answer is yes, absolutely. You’ll never get a good grade to a written test without knowing how to spell your French verbs. However, if you are learning French to communicate in French, it’s another story. Most of your interactions in everyday life are going to be in three tenses: the present, the passé-composé, and the imparfait indicative. You will also use a bit of present conditional. And the present subjunctive is useful as well, but the French themselves make a lot of mistakes with that mood, and we know it’s even more complicated for foreigners. You should first know how to build and use the French tenses. No need to know how to spell them or say them if you can’t use them properly. English tenses are really easy to understand and build compared to French. Add “would”, “will”, “ed”… and you’re done (yes, I’m exaggerating a bit here). In French, it’s not that clear-cut. In many cases, you just can’t translate from English: you need to understand why that particular tense is used in that particular context. Furthermore, to communicate, you need to know how to pronounce the verbs: but do you really, really need to know how to spell them? Which brings us to the controversial subject of French pronunciation. As I said before, because French and English share the same alphabet, a lot of English speakers are under the impression that it’s going to be easy to pronounce French. And it might be, compared to Japanese or Hindi. However, it’s not because French and English share an alphabet and many sounds that there are no precise rules of pronunciation to apply in French. Most students don’t know the French pronunciation rules: they “wing” it, learning by repetition. It may work for some, but I still think that knowing the rules of French pronunciation, like when you should or shouldn’t make a liaison, would make things much easier. Once you understand the rules, then the practice will let them sync in for good. And of course, there is no point in studying French pronunciation without audio! Spoken everyday French (which I call “street French”). In English, there are huge differences in pronunciation too, mostly between regions and levels of education. But I don’t think there is much difference between the “formal” English and everyday English spoken by the same person: I’m not talking about the words or the grammar here, but strictly the pronunciation. I don’t think President Trump, for example, speaks much differently in private than he does during an interview. It’s not the case with French. There is a difference in pronunciation between formal French, like the well-enunciated French featured in the news, and the way the same newscaster will speak in his everyday life. This is why I’ve recorded my French learning method twice, at two levels of enunciation: normal and street French (and actually three speeds for the beginner levels). Again, English speakers are ill-prepared for that reality: most methods feature some French scholar who speaks using impeccable grammar and enunciates really clearly. But it’s not the reality of French! This street French affects not only French pronunciation but also French grammar: questions, in particular, are not asked following the formal word order. And questions/answers being the base of conversation, if you don’t understand when French people ask you questions, you’re not going to go far in a French conversation. “The cat climbed onto the roof”. One of the first English sentence I learned when I was a child. I never had a cat. I lived in an apartment. I don’t think I’ve ever used that sentence in my life. To learn French, you need to prioritize. Learn vocabulary to describe situations that are close to your life. Prepare for interactions you are likely to have. And politeness of course. The rest can wait! This is true for anybody learning any language. learn how to say the verb forms: do you really need to know how to write them at first? learn the French pronunciation rules, it will be a big help!